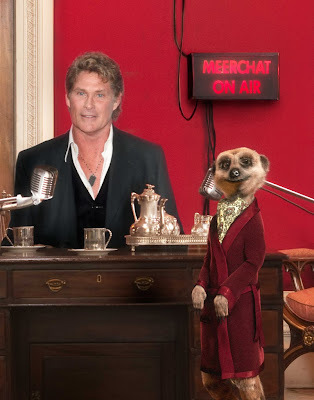 David Hasselhoff is the self-proclaimed 'King Of The Internet' - and never one to forgo an opportunity to advance 'brand Hoff', he has allowed Aleksandr Orlov, the Compare The Market meerkat, to interview him as the guest of the first Meerkat podcast. Hasselhoff has a long history of online exploits though. 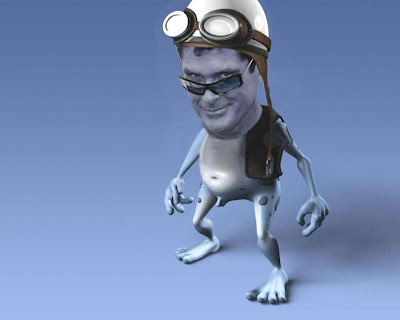 2005 'Crazy Hoff' - who needs a Frog? 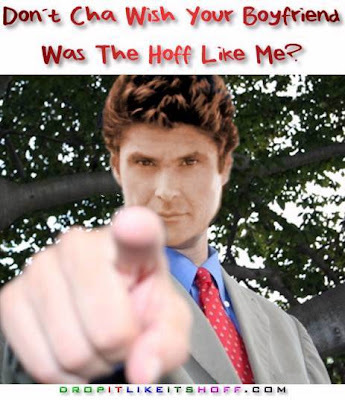 Hasselhoff became arguably the first viral superstar - no topical event or situation escaped the Hoff meme treatment. 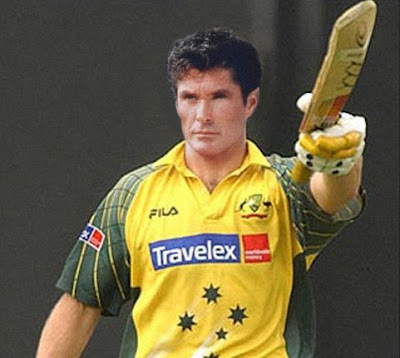 From the above to appearing in (photoshopped) Katrina flood pictures in Baywatch outfit, it seemed no week went past without a Hoff related email circulating. As social evolved, so the Hoff moved with it. 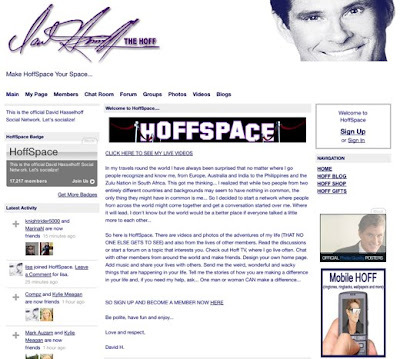 Initially running on MySpace, last year David Hasselhoff launched his own social site - 'Hoffspace' ('the official site for all things Hoff') and it now has 20,757 members. Hasselhoff has also embraced Twitter @DavidHasselhoff and amassed 34,106 followers, but not content with just being online, David Hasselhoff has last month also launched an iPhone app called 'Ask The Hoff'. Yes it’s me, star of Knight Rider, Baywatch and America’s Got Talent, living legend David Hasselhoff and this is my very own iPhone App! Scientists have wrung my fantastic brain dry and poured the knowledge into this app, so I can give you Hoffalicious advice whenever you need it. Just turn up the volume, ask a question and shake your iPhone, and I’ll give you an answer. It really is that incredible. 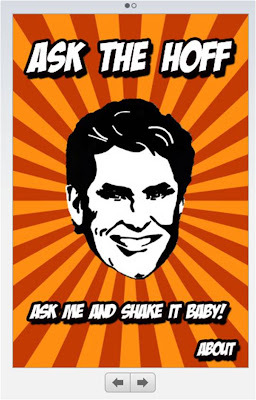 Ask The Hoff is an official Hoff iPhone app featuring exclusively recorded auido of me, The Hoff. We’ve even squeezed an entire gospel choir into this thing. That wasn’t easy let me tell you. It’s kinda cosy in here. But it’s a good cosy." "Good Hoff-ternoon Ladies and Gentle Men, I have record special show with Holly Woods superstar and furry beach sensation Mr David ‘The Hoff’ Hasselhoff. He even give me swim lesson after show. He say I like duck in water, I say it must have been a fury, handsome duck with excellent taste." Brand Republic write that the 12-minute podcast features Aleksandr asking The Hoff a series of probing questions on a variety of subjects, including whether he is a member of "Titter" and "advice on how to deal with zee ladies". Brand Republic go on to quote The Hoff as saying "You must say your career is more important than marriage and unfortunately you cannot share your love only one person."